RC Modelers – Offered in sizes that work for any RC modeler’s airfield. 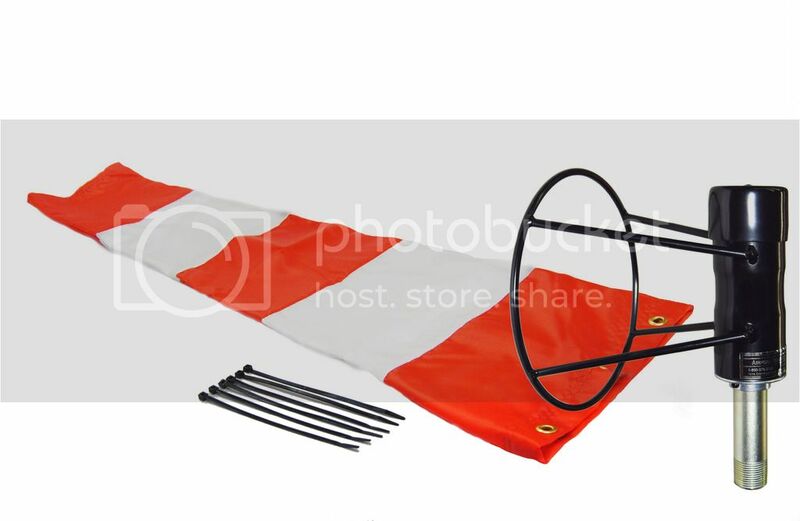 These windsock and frame combos work great for the club house roof. Boat Owners – Make docking your boat a snap with one of our windsock and frame combos. As any boater knows, wind direction and speed are two of the most critical factors in docking larger vessels. Ranchers – With one look, you will know the wind direction anytime of the day. This is vital information for crop spraying and other ag activities such as irrigation and livestock welfare.